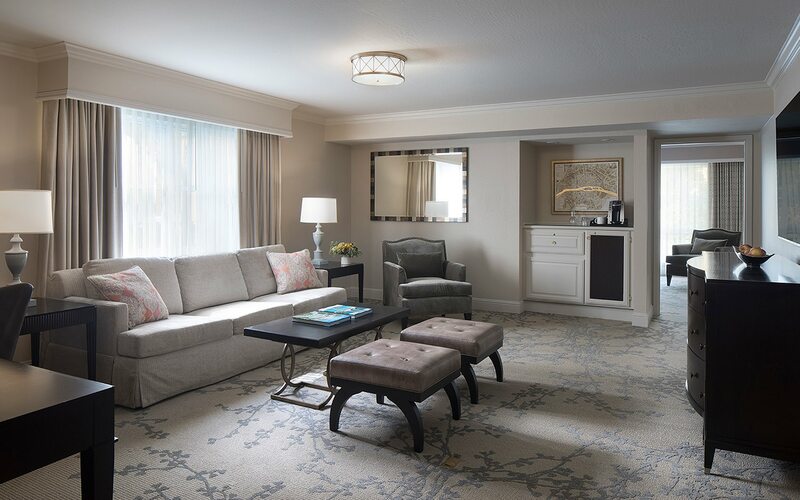 Accented with European sophistication and charm, these spacious luxury suites provide ample space to unpack and fully immerse yourself in the Lafayette Park experience. 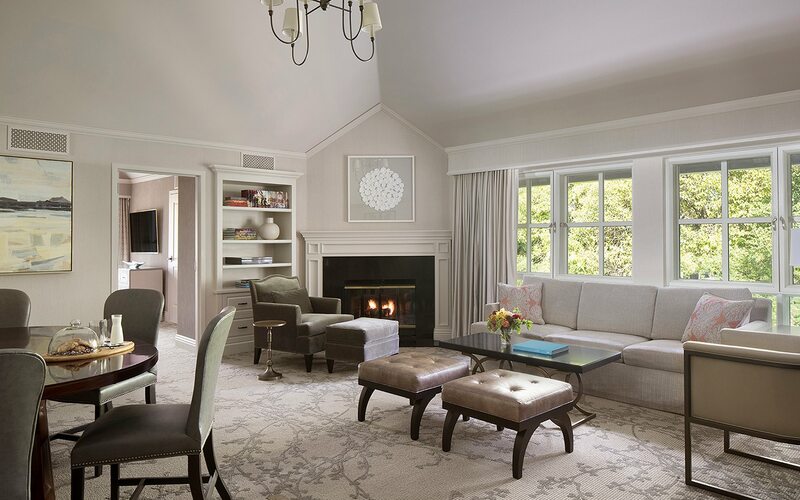 Entertain guests in a fully furnished living room, enjoy scenic garden views from your windows, or tuck into fine linens to catch up on sleep before your next eventful day. Popular with newlyweds, La Petite Suites are romantic and relaxing single room suites imbued with European elegance and charm. 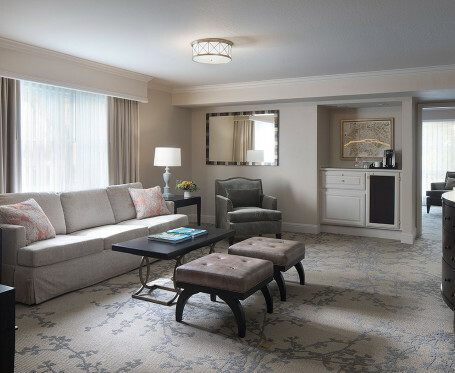 These spacious and airy luxury hotel suites feature a king bed, and generous seating area with a pull-out sofa, oversized chairs and a coffee table. 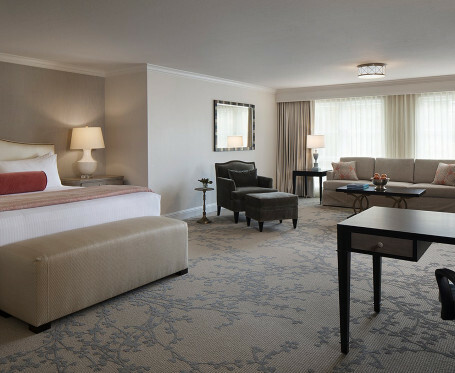 Ideal for families or corporate executives, Le Marquis Suites have the style and sophistication of a French chateau. The spacious and airy living area is perfect for entertaining, and includes ample seating room and a pull-out sofa. The separate bedroom features a king bed. 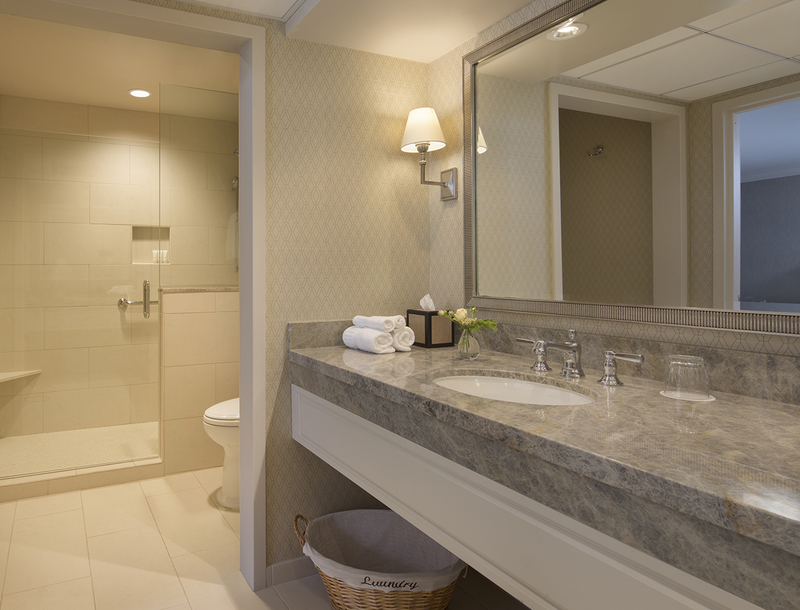 Select luxury hotel suites overlook our beautiful pool, and have easy access to the pool, whirlpool, sauna and the Spa. 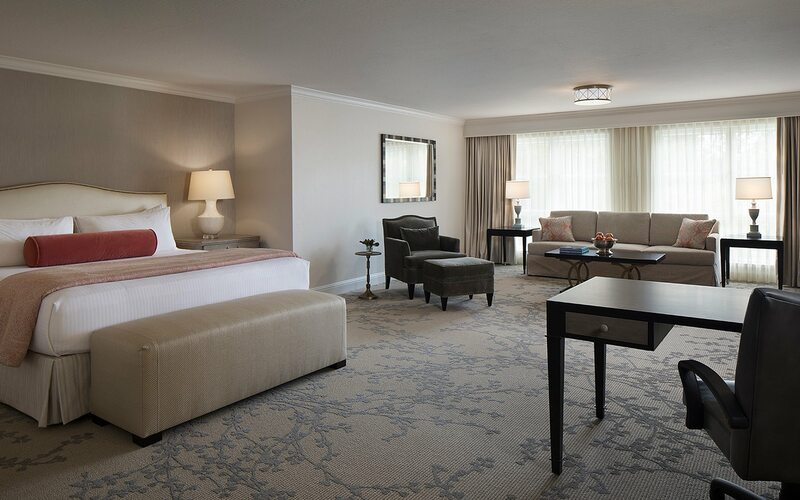 Evoking the feel of a European country hideaway, La Grande Suites are our most spacious and over-the-top sumptuous rooms. 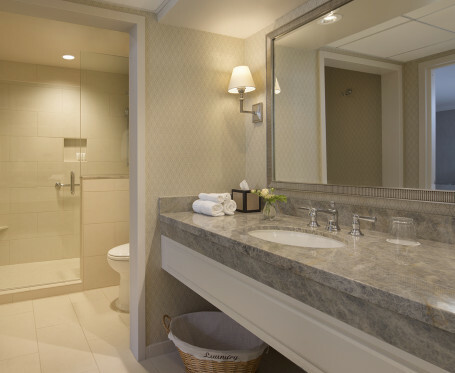 These spectacular suites have a separate living room with wet bar and a well-appointed bedroom.